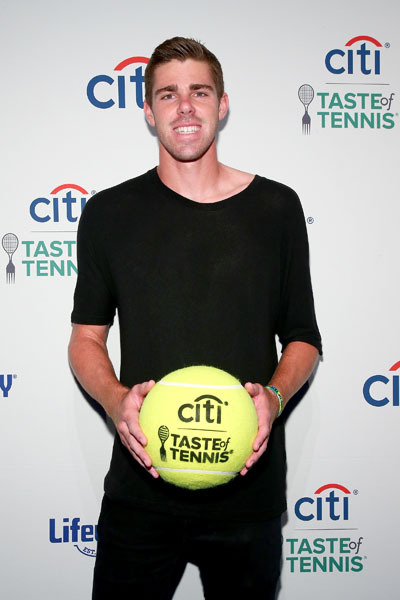 Though summer may be coming to a close, one of the most anticipated charity events in NYC is the Taste of Tennis when leading chefs and world class tennis players come together to celebrate on the eve of the US Open. 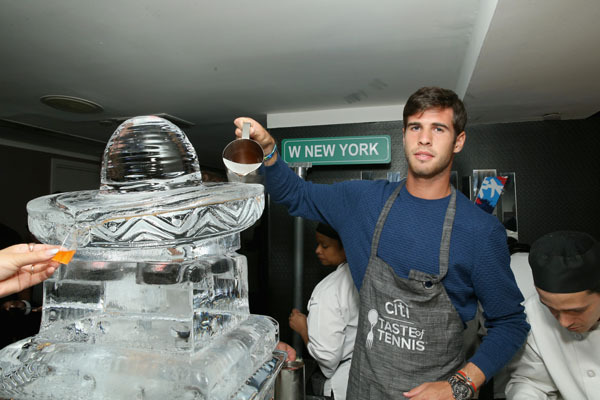 NYC’s top chefs will showcase their culinary skills with some of world’s best tennis players serving the attendees. 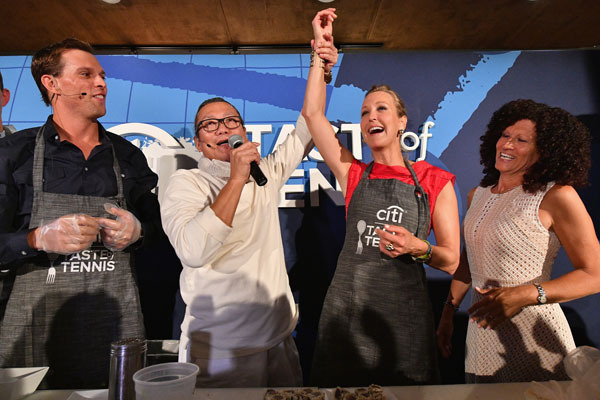 Already in its 18th year, Masaharu Morimoto – the Iron Chef, James Beard Award winner, and Citigold Lounge Host led the world class culinary masterminds for the Citi Taste of Tennis and co hosted along with Good Morning America’s Lara Spencer. Guests were able to try gourmet specialties from star chefs hailing from Morimoto, Barbados, Regency Bar & Grill, Kingsley, Megu, Davio’s, Grand Banks, Salvation Taco, Somtum Der, Jinjuu, Zuma, Le Coq Rico, Moon Palace Jamaica, Miss Lily’s, W New York, Pampano and Ben & Jacks. If that wasn’t enough Doubles partners Lucie Safarova and Bethanie Mattek-Sands hosted a new dessert portion of the event called Citi Taste of Tennis After Dark with plenty of decadent desserts to keep the crowd enticed. 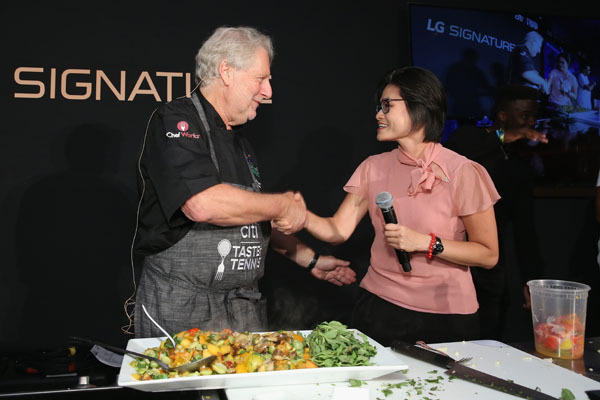 As the worlds of sports and gastronomy collided, tennis fans witnessed Venus Williams cooking alongside Chef Jonathan Waxman while dynamic tennis duo Bob and Mike Bryan faced off in a Sushi Challenge alongside Chef Masaharu Morimoto. Other A list tennis stars in attendance included Alexander Zverev, Mischa Zverev, Gael Monfils, Feliciano Lopez, Nick Kyrgios, Eugenie Bouchard, Sam Groth, Anna Chakvetadze, Sloane Stephens, Elena Vesnina, Marcelo Melo,Shelby Rogers, Reilly Opelka, Ryan Harrison, as well as Ballers actor Omar Benson Miller and Insanity fitness guru Shaun T.